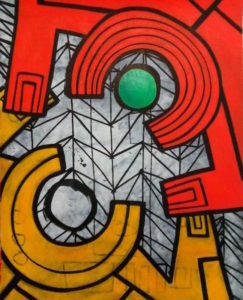 Volcano Art Center is proud to announce the next fine art exhibition to be displayed at the Volcano Art Center Gallery in Hawai‘i Volcanoes National Park from February 16th – March 24th, 2019. The exhibition titled NIUHI-SHARK honors Kamehameha The Great in both paint and prose with original paintings created by Carl F.K. 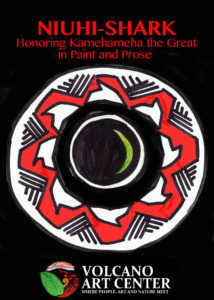 Pao paired with selections from the book Kamehameha–The Rise of a King by Kāwika Eyre. The exhibit in commemoration of the 200th anniversary of King Kamehameha’s death will open on Saturday, February 16th with artist and author present at an opening reception from 5 to 7pm. The public is also welcome to attend a panel discussion the day before on Friday, February 15th at 5:30pm at the Volcano Art Center’s Ni‘aulani Campus in Volcano Village. 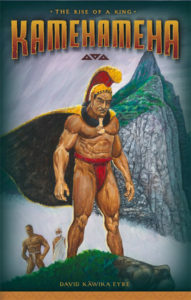 2019 marks the 200th year of the death of Kamehameha the Great. His beloved wife Ka‘ahumanu is said to have tattooed the exact date on her arm: May 8, 1819. 1819 was also the year of the breaking of the ‘ai kapu which freed men and women to eat together and later that same year, Chief Kekuaokalani, Kamehameha’s nephew fell with his wife Mānono on the battlefield at Kuamo‘o in a last and valiant attempt to defend the gods and the kapu system. 2019 is thus a year of reflection and emotion. Kamehameha Publishing, Volcano Art Center, Kamehameha Schools Hawai‘i, East Hawai‘i Cultural Center, Kohala Hawaiian Civic Club, Malu ‘Āina-Center for Non-violent Education and Action and Pu‘u Koholā National Park have joined efforts to mark the year. This commemorative exhibit showcases Pao’s artwork with key excerpts from the book Kamehameha–The Rise of a King and illustrations created for the book by artist Brook Parker. The collection provides viewers a visual experience of important events in King Kamehameha’slife and the fascinating perspective from two very different styles of art. 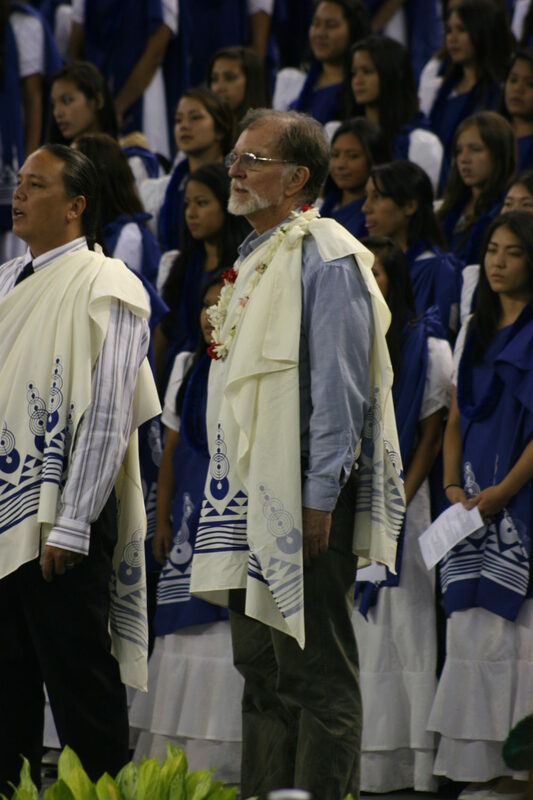 David Kāwika Eyre has taught Hawaiian language at Kamehameha Schools for 23 years. His book Kamehameha—The Rise of a Kingwon a Palapala Po‘okela Award for excellence in Hawaiian culture, a NēnēBook Award, a Moonbeam Children’s Book Award, and a Read Aloud America selection award. Eyre is the author of 7 books, the most recent a collection of haiku poems entitled not a one, published by Red Moon Press in 2018. 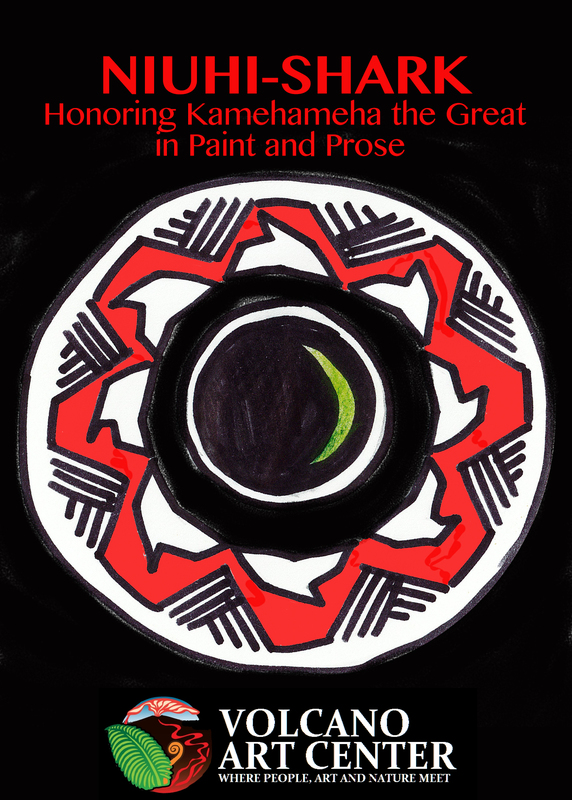 He will be signing copies of the award-winning Kamehameha book which provides the frame work for this exhibition on Sunday, February 17thfrom 11am -1pm at the VAC gallery. 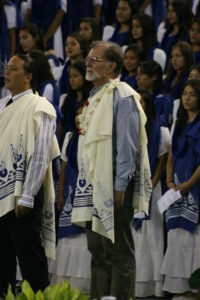 Born and raised on the island of O‘ahu, Carl Pao graduated from Kamehameha Schools in 1989. He earned a BFA at the University of Hawai`i at Mänoa in 1994, with an emphasis in Ceramics (Outstanding Senior Ceramic Student Award). Carl received his MFA with first-class honors in 1999 from Elam School of Fine Arts at the University of Auckland, Aotearoa. 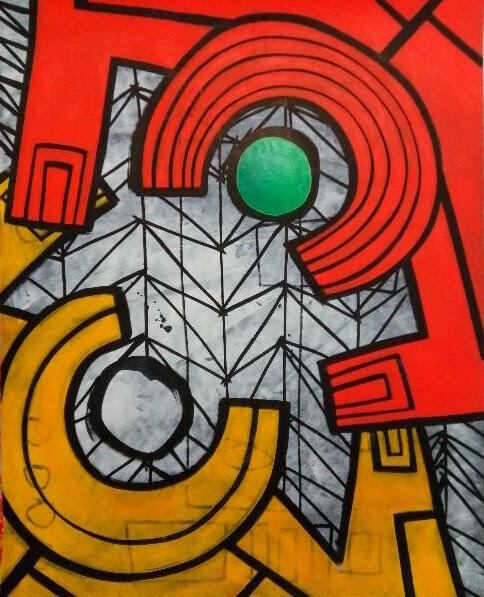 He returned to Hawai’i in 2000 to take his current full-time teaching position at the Kamehameha Schools High School in the Visual Arts. In January 2018, Carl transferred to the Keaʻau campus. Outside of his teaching schedule, Carl continues to create his own art. A panel discussion beginning at 5:30pm on February 15that VAC’s Ni‘aulani Campus in Volcano Village kicks off the events and programs which support the exhibition. All are invited to hear different perspectives on the life of Kamehameha, in particular his complex relationship with the Ka‘ū chief Keōua. The exhibit and supporting events promise paint, prose, protocol and conversations providing cultural, historical, and educational experiences. The Volcano Art Center is honored to host the exhibition, NIUHI-SHARK: Honoring Kamehameha the Great in Paint and Prose through March 24th, 2019. The exhibition is planned to expand and move to the East Hawai‘i Cultural Center for Merrie Monarch Week, and will then possibly travel to the island of O‘ahu to be included in the Hawaiʻi Book and Music Festival.